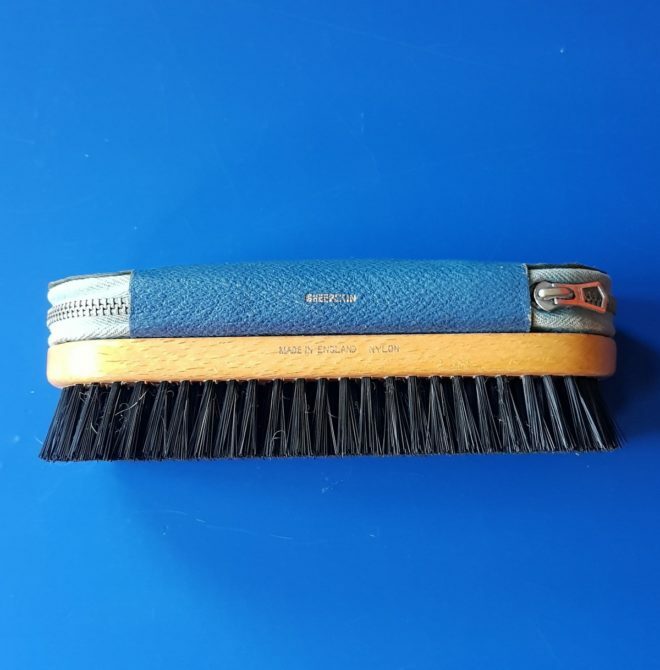 Wonderful mid century gadget! 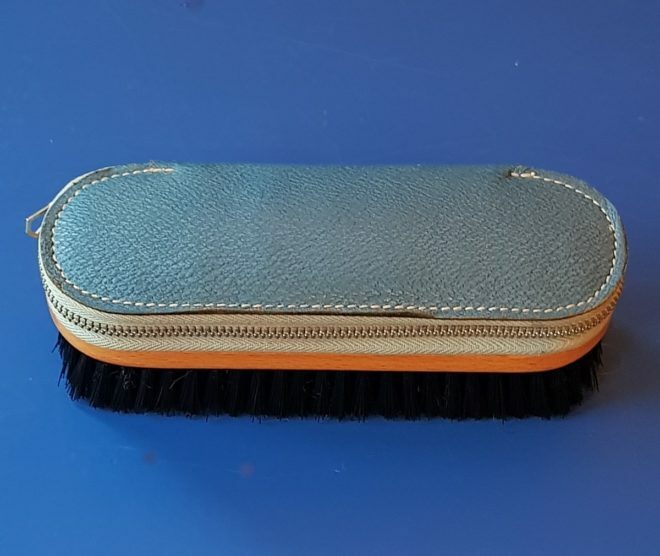 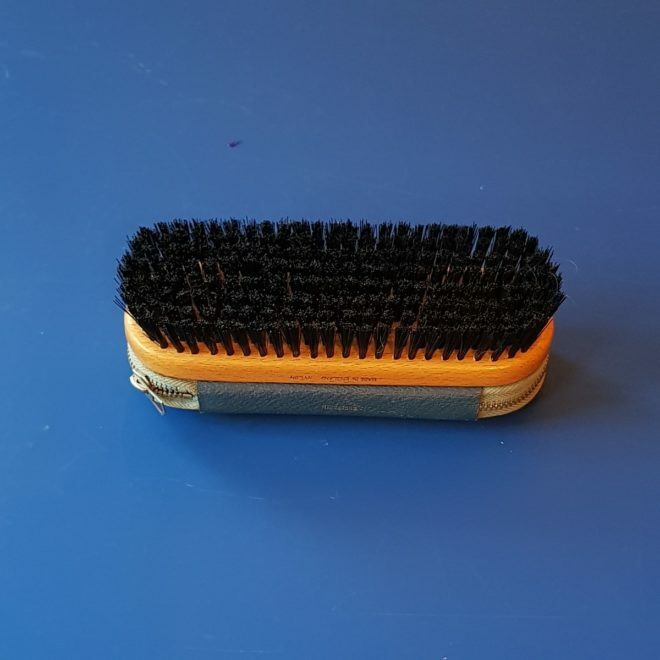 This is an all in one good quality, Two-Tix (love the name), Made in England, wooden clothes brush with a fabulous manicure set attached to the top of the brush. 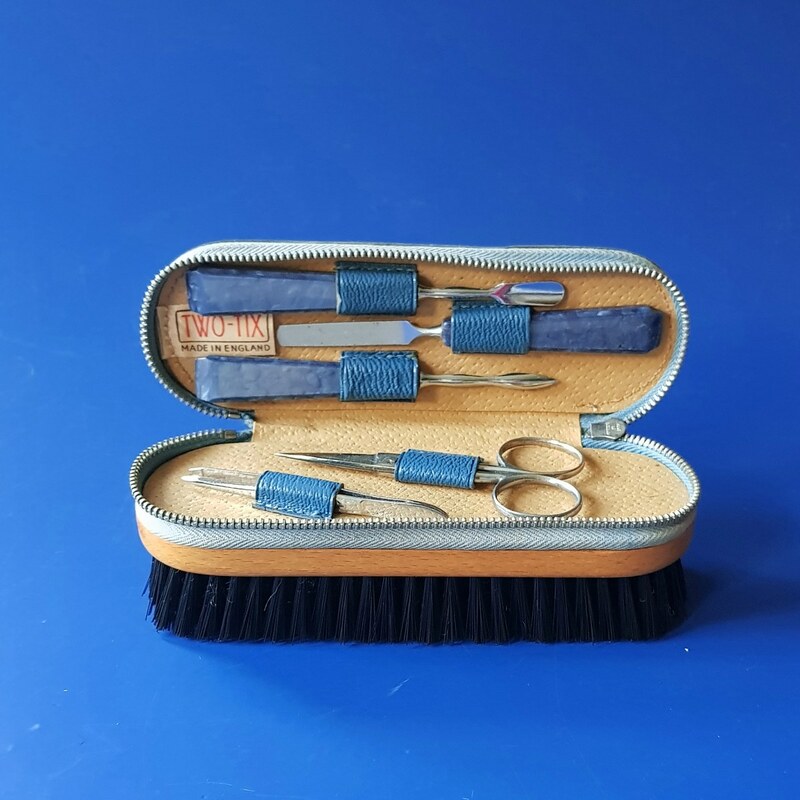 The manicure set implements are made from excellent quality metal, stainless steel, with lovely lucite blue handles in a mother of pearl effect. 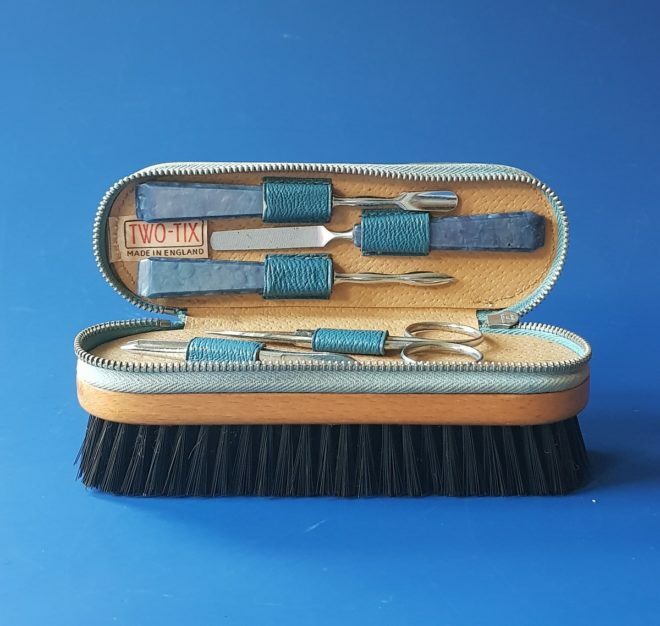 The set looks like it’s never been used, so would make a great gift for a fashionista traveller, or use it yourself at home or in your camper or caravan!